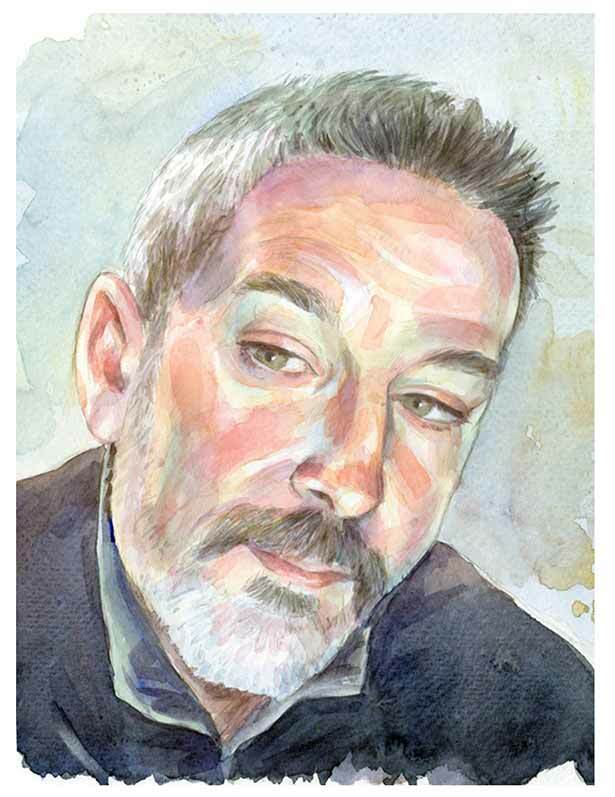 Michael Adams is a free-lance illus­tra­tor, design­er and a fine artist. He is well known in the col­lectible indus­try and designs prod­uct lines in a vari­ety of themes and sub­ject mat­ter. He has illus­trat­ed numer­ous children’s books and is a mem­ber of the Soci­ety of Children’s Book Writ­ers and Illus­tra­tors. As a fine artist, he is rec­og­nized for his por­traits of birds and land­scapes in water­col­or, acrylic and sculp­ture. He par­tic­i­pates in local and region­al exhi­bi­tions. From 1992 – 1998 and 2006 – 2014 Michael taught at the Uni­ver­si­ty of the Arts as a Senior Lec­tor in the Illus­tra­tion pro­gram. His cours­es includ­ed Pic­to­r­i­al Foun­da­tion, Medi­ums and Tech­niques and Children’s Book Illus­tra­tion. He was for­mer­ly the Pres­i­dent of the Greater Nor­ris­town Art League, where he teach­es water­col­or class­es. Michael lives with his wife, Cat, in Nor­ris­town, Penn­syl­va­nia with two dogs and four cats. They have three won­der­ful sons and are blessed with two beau­ti­ful grand­daugh­ters. Michael receives com­mis­sions to do por­trait work and murals. His mur­al paint­ing part­ner is the tal­ent­ed Susan­nah Hart Thomer. They have paint­ed ten murals togeth­er. * If inter­est­ed in pur­chas­ing art­work, por­trait or mur­al pric­ing, please click on con­tact above.